I cut the basket in half using a wire cutter, then drilled holes in the cabinet door where the basket's frame wire would fit. I'm adding my affiliate links in bold so you can purchase some of the products I used. 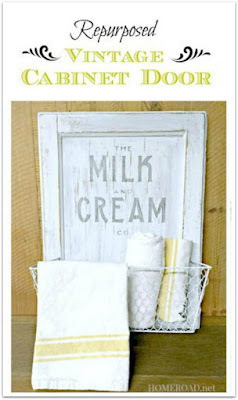 I painted the cabinet door and the basket Lamp White with Fusion Mineral Paint then heavily distressed the cabinet door. 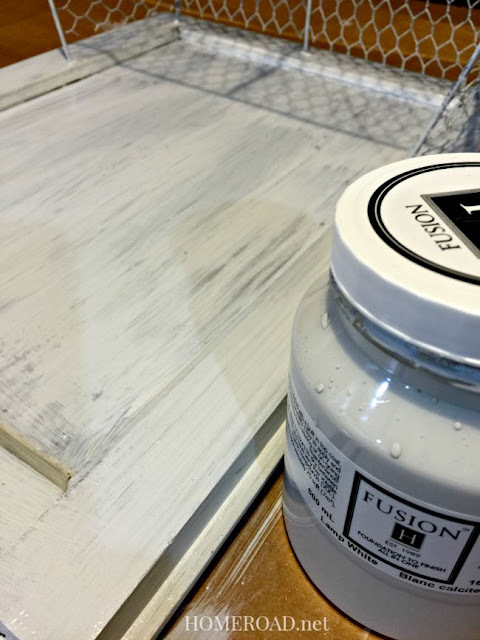 Fusion Mineral Paint sticks to the metal and the cabinet door with no priming, stripping, or sanding. The best part to me is that there is no waxing or topcoat needed! Fusion Mineral Paint can be purchased at Backstreet Antiques in Huntington, NY. I am using the Milk and Cream stencil created and sold by Angie at Knick of Time. 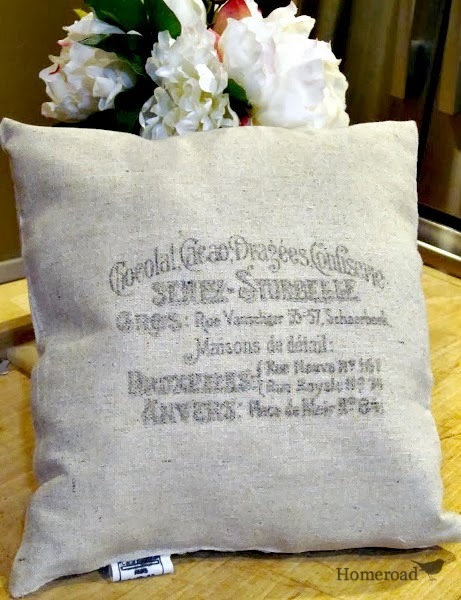 Angie has beautiful vintage and farmhouse stencils at reasonable prices. 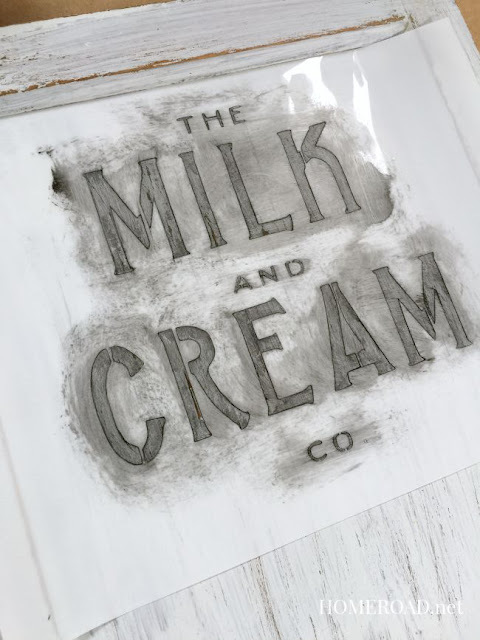 They are great quality stencils and I love the Milk and Cream stencil for this project. I used spray adhesive to hold down the stencil then black craft paint to lightly stencil in the lettering. A light coat of the black paint is all you need... less is more in stenciling. 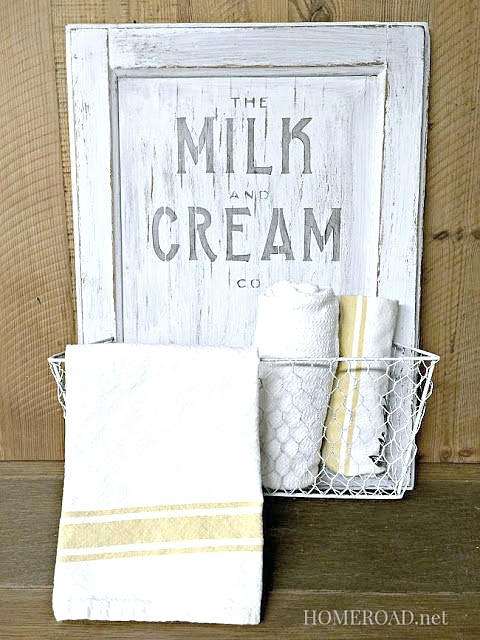 I love this project for kitchen towels but it can also be used to hold towels in the bathroom. she has some beautiful stencils for your next project! all opinions are my own honest assessments of the products. I love this idea! 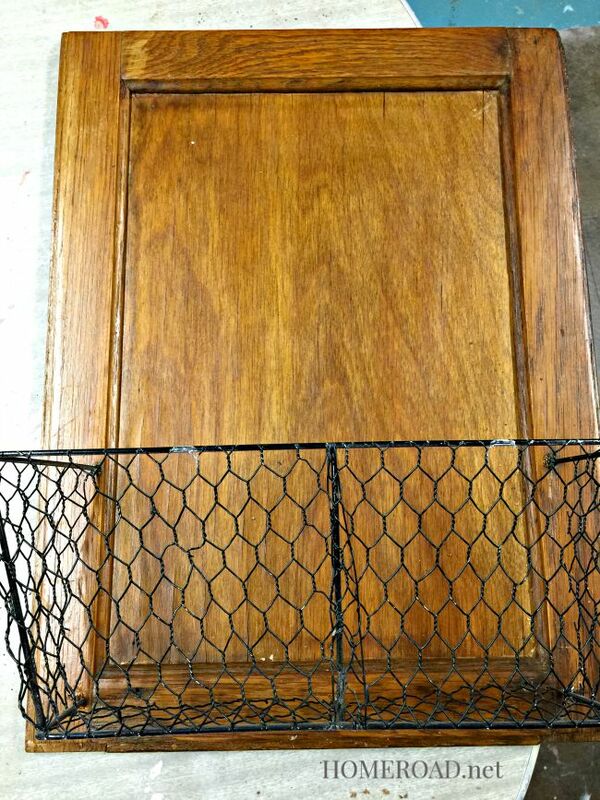 I have the wire basket and a cupboard door....just have to get a stencil. Thanks Annmarie! 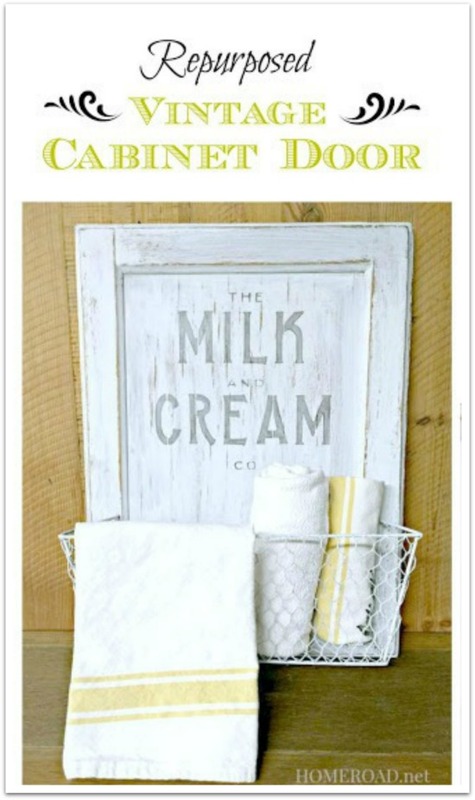 Visit Knick of Time... Angie has great farmhouse stencils! I love this idea Susan! What a great idea Susan! I have cabinet doors - I just need to scrounge around for a basket! 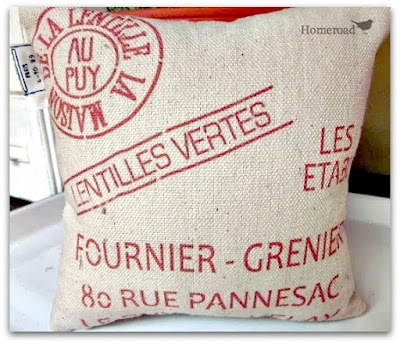 Thanks for sharing Vintage Sign Stencils with your readers! Thank you Kerryanne... the stencil made the project! 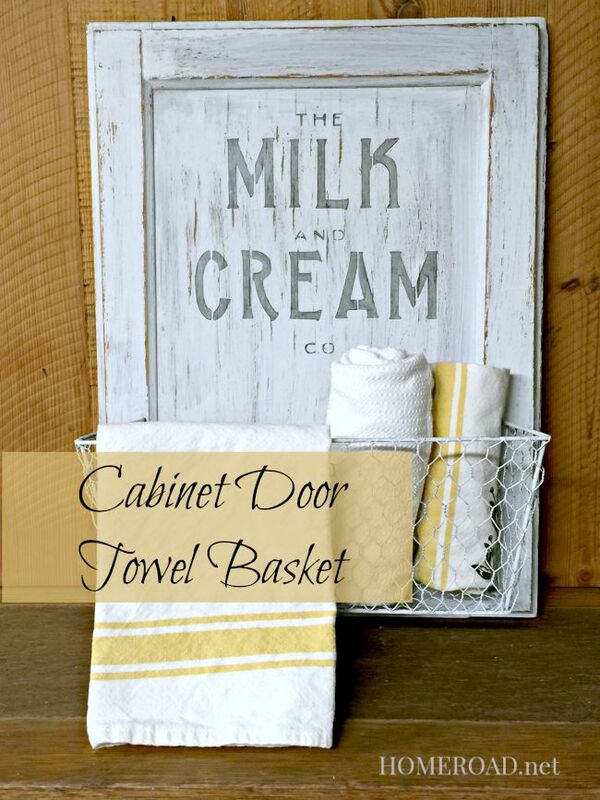 What a clever way to use an old cabinet door and basket! Of course, it has much for charm with the fabulous Milk and Cream stencil. 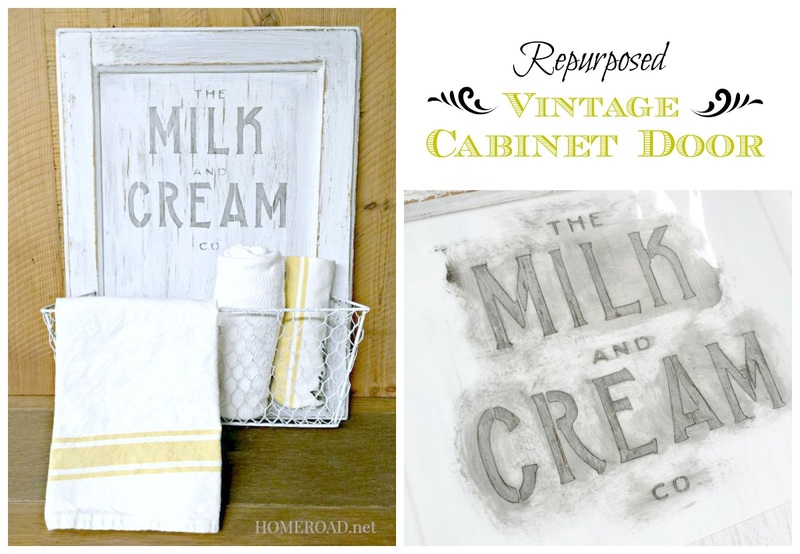 Yes that Milk and Cream stencil made the project :) Thanks Betsy! Thank you Christy! :) Have a good weekend! This is so pretty, Susan. I love how you combined everything together so beautifully! 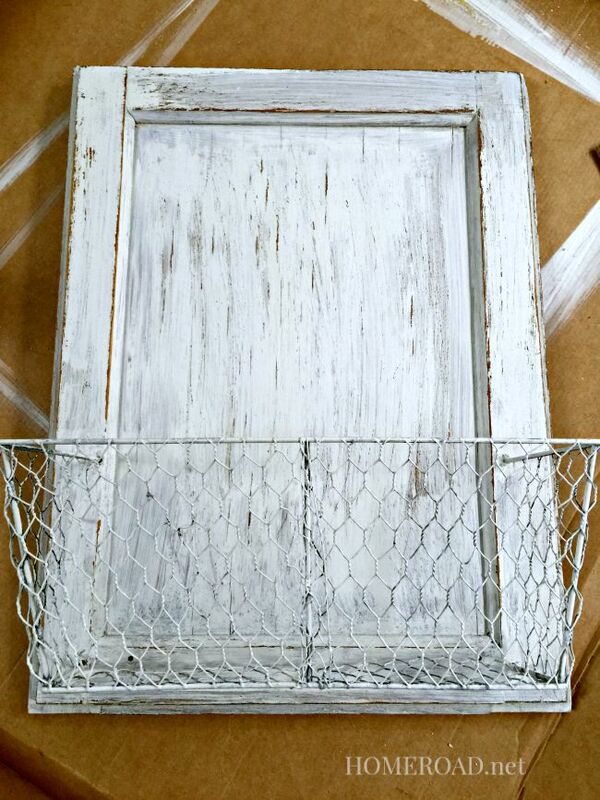 I have tons of cabinet doors, and I've been wanting to use that stencil--but I don't have a basket. putting all of this together was a great idea... I love the new look.